You must have heard that there is no age limit on love, for true love is like wine, and only gets better with time. These couples perfectly demonstrate the point. Even though their ages may have increased, but their love remains the same still. And to all the young couples, reading this, this is what your relationship goals should look like. Take this as a message to your future selves as a reminder of the kind of person you should be with. Someone with whom you can be happy, or weird, or as much crazy you can wish to be. 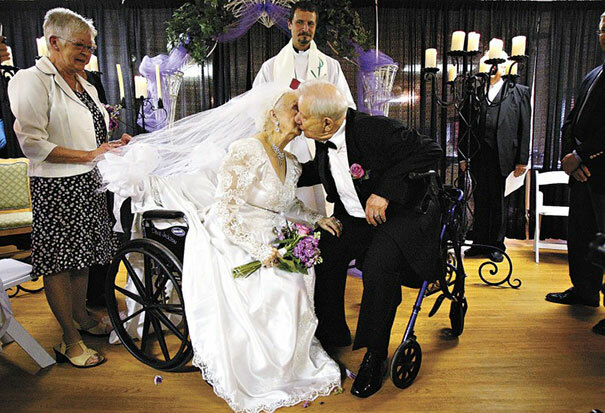 Couple Getting Married On Her 100th Birthday. They Surely Took Their Sweet Time At That, Didn’t They ?